By: Maya Hu-Chan, C-Suite Coach, Executive Development Associates, Inc.
What is your signature strength as a leader? Is it your energy? Which characteristic is the one that you have truly built your leadership reputation upon? Did you know that this strength could actually be holding you back professionally? The concept of strengths-focused development makes complete sense, as companies seek to maximize the performance of their top talent by engaging their greatest abilities and passions. However, what’s overlooked is that it can be just as harmful to overdo a leadership strength as it is to under-do it. The challenge for many leaders, is that it can be a tough problem to spot. Leadership development programs don’t always help to address the problem either. I often find that strengths-based programs are often too inwardly focused, zeroing in on the strengths of the individual at the expense of the cultural DNA of the organization. It’s not uncommon to see how a respected strength in one culture can sometimes be viewed quite differently in another. 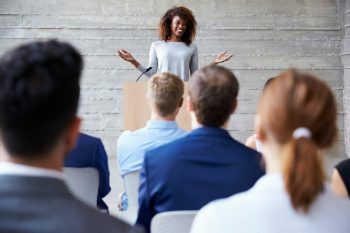 The key to effective strength-focused leadership is for a global leader to bring their professional assets to the table, but in ways that can be understood and appreciated by colleagues from different cultures – who may have very different expectations from leadership behavior to your own. A tough challenge? Yes! But not an impossible one. Global leaders need a level of cultural awareness that is a cut above everyone else and they must be able to adapt their behavior to the audience. In leadership development, I’ve seen otherwise highly successful leaders struggling to adapt their style when faced with a cross-cultural environment. If you overuse your strength, it can become a liability. Here’s a good example. A Chinese executive, Howard, recently shared with me his career dilemma. Based in Guangzhou, Howard has been working in the procurement function at a global tech company for 15 years. He has been very successful in the procurement role and was promoted several times to his current senior executive position. Over the years, there were good opportunities in various international assignments that were available to him. However, he always concluded, “Procurement is my area of expertise. I have built good relationships with the vendors. I have excellent negotiation skills. I know what I am doing, and I am comfortable here. An international assignment? My English is not that good. This isn’t for me.” Over time, he has become viewed as the “procurement guy” with a narrow skill set. Recently, Howard got a new boss. Mark was young, ambitious, and outgoing. After working in several lower level positions, Mark applied for a position at Product Marketing. Two years later, he moved the supply chain division and along the way took a couple of international assignments in the US and Germany. He soon became known as a well-rounded leader with a wide range of experiences. As a result, he got a big promotion to lead the global procurement function. Howard was shocked at this development. Why? Because one of Mark’s first positions was working in procurement under Howard’s supervision. Howard now reports to him! When the company went through a re-organization, Howard’s options were few because of his limited experience outside of procurement. There was no position within procurement to move up, and it was too risky to move him to other functions as a senior executive. He is stuck. To be a successful global leader, you can never stop learning. Always challenge yourself and be willing to step outside of your comfort zone. When you rely on your strengths too much and overuse them, it can become a liability. This same thing happened to another one of my clients. Ben is the China President of a global semiconductor company. Born and raised in China and educated in US, he has a strong engineering background. His 360-feedback showed that he is highly analytical, detail-oriented, and very hands-on. These traits have served Ben well in his previous position. However, after he was promoted to President overseeing operations in China, his core strengths became a serious liability. For example, when important decisions needed to be made, he tended to deep dive into technical details, spent days, even weeks, collecting and analyzing data, and weighing all the alternatives. His meetings often turned into long analytical discussions with no decisions at the end. He was hands-on about the day-to-day technical problem solving, and had a hard time letting go. His staff was left frustrated and confused. He became a true bottleneck. I often talk about the importance of being culturally agile when working in a global environment and this rule applies even more acutely when thinking about personal development. A strength is only a strength if it is acknowledged and appreciated by those you are exhibiting it to. For many global leaders a delicate balance must be struck between showcasing your own abilities and carefully reading the culture of the room. Although the effect is often most acutely felt when working with people from different countries, being aware of the impact of cultural differences isn’t always about the challenges of working across continents. Sometimes you can find a culture gap much closer to home. Here’s a very different – and indeed very personal – story that changed how I saw my own strengths and helped shape my entire career. 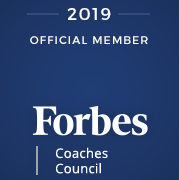 Years ago, when I started out as a leadership coach I spoke with my mentor, Marshall Goldsmith, about a sense that I simply didn’t fit in the world of leadership development. All of the other consultants were white, male, and quite a bit older. In the world of leadership development, it seemed as if I was my demographic group. I was a fish out of water and I found myself on the verge of trying out alternative career paths. That was decades ago. My inability to fit in with the leadership development culture of the time turned out to be a unique strength. Today, as a leadership coach working between Eastern and Western cultures, my unique experience and background have enabled me to support emerging global leaders with a different perspective on their development challenges. Know the cultural context. Understand as much as you can about the culture and norms of the people and teams you work with and how your own brand of leadership is likely to be received by them. This is true of any organization but particularly so when working with other cultures that may view behavioral traits very differently to how your own country or corporate culture does. Do style shift. Be willing to take risks and drive change. How can you adapt your behavior to accommodate cultural differences without losing your authenticity and values? Equally as important as simply being aware of your strengths is the ability to flex and adapt how you use them according to the environment and people you are working with. Engage your key stakeholders. Make sure those close to you are aware of what you’re trying to do. Communicate your personal goals to your key stakeholders and ask them for regular feedback. You may find that the perceptions of these stakeholders may start to shift as they watch you change and grow. Actively develop yourself. Work with mentors and coaches and seek leadership development and training opportunities to make sure you are well rounded and have a clear sense of how your strengths are viewed by key stakeholders and how you can utilize them to the greatest effect. About the Author: Maya Hu-Chan is C-Suite Coach with Executive Development Associates, in addition to an international management consultant, executive coach, and author. In 2013 she was rated one of the World’s Top 8 Global Solutions Thinkers by Thinkers50, and one of the World’s Top 30 Leadership Gurus. Harvard Business School has chosen her book Global Leadership: The Next Generation to be one of their Working Knowledge recommended books. She is also a contributing author to 10 leadership and management books. Maya was born and raised in Taiwan and lives in San Diego, California. She has worked with thousands of leaders in Global Fortune 500 companies around the world.